Kevin Redwine is a member of the firm’s Energy Group and Corporate and Securities Group. He concentrates his practice in mergers and acquisitions, financings, oil and gas transactions and general corporate matters. Mr. Redwine has extensive experience representing buyers and sellers in negotiated acquisitions and dispositions, including stock transactions, asset purchases and mergers. Mr. Redwine has significant experience in energy matters such as acquisitions, regulatory matters, preparation of various industry contracts and negotiation of disputes. He has represented clients in numerous industries, including energy, manufacturing, transportation, technology, real estate and banking. Mr. Redwine graduated with highest honors in 1984 from the University of Oklahoma College of Law where he was a member of the Oklahoma Law Review and the Order of the Coif. Mr. Redwine is listed as a leading lawyer in Energy & Natural Resources by Chambers USA. 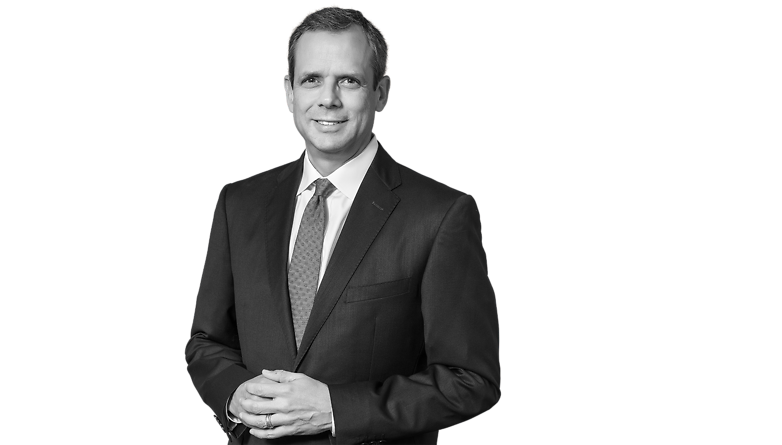 He is also listed in the The Best Lawyers in America publication in the areas of Corporate Law, Mergers and Acquisitions and Oil and Gas Law. He is also included on the Oklahoma Super Lawyers recognition list. Mr. Redwine is a member of the Executive Committee of Conner & Winters and serves as its Chief Financial Officer. Oil and gas company in the purchase of producing properties in East Texas for $450 million. Numerous oil and gas companies in private equity financings ranging from $25 million to $250 million. Publicly held oil and gas company in a $100 million mezzanine financing. Fortune 500 company in purchase of manufacturing company for $32 million. Publicly held oil and gas company in sale of producing properties in Oklahoma for $11 million. Publicly held midstream company in sale of rail terminal and storage assets. Oil and gas company in purchase of producing properties in Oklahoma for $250 million. Oil and gas company in sale of pipeline system for $85 million. Oil and gas company in purchase of producing properties in South Texas for $9 million. Fortune 500 company in purchase of manufacturing company for $6.5 million. Management team in buyout of manufacturing company for $10 million. Issuers in private placements of securities under Regulation D.
Fortune 500 company in major internal restructuring of various operating companies. Organization and structuring of numerous business ventures. Fortune 500 company in purchase of manufacturing company for $47 million. Purchases and sales of numerous motorcycle dealerships and related real estate. Oil and gas company in $75 million mezzanine financing involving convertible royalty interest. Oil and gas company in purchase of producing properties in South Texas for $260 million. Various purchases and sales of real estate. Numerous borrowers in bank loan transactions. Fortune 500 company in purchase of manufacturing company for $220 million. Oil and gas company in exchange of significant oil and gas properties with major oil company. Fortune 500 company in negotiation and organization of joint venture for natural gas storage facility. Fortune 500 company in sale of two groups of manufacturing companies for $270 million.